Upon leaving school, Matthew Alway had no idea what profession he wanted to pursue, but he knew that he wanted to be his own boss. Fuelled by this and a desire to be content in whichever career path he took, when he stumbled across tree surgery he knew it could be the perfect fit. With his ‘can do’ attitude, Matthew, from King’s Lynn, set about gaining work experience and enrolling on an arboriculture course. He worked his way up, gathering skills and experience along the way. Starting his own business was the natural next step. He launched Apex Arborists in January 2017. Nwes spoke to Matthew about his start-up journey and plans for the future. Tell us more about Apex Arborists. 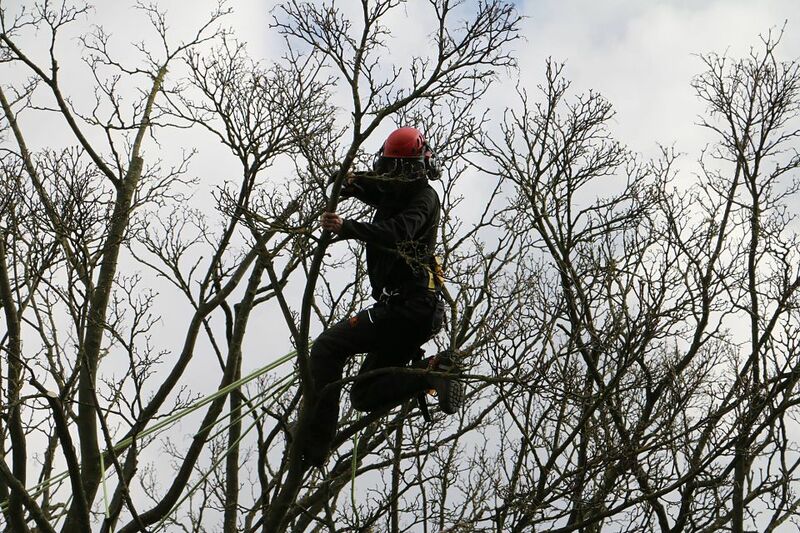 We provide a comprehensive tree management service to King’s Lynn and the surrounding area. We offer a range of services from delicate pruning operations, to precision dismantles, and everything in between. We strive to provide the highest standard of tree care. What is unique about Apex Arborists? As a tree surgeon, my job is to ensure trees and people live in harmony. Sometimes this cannot be achieved by pruning alone, and unfortunately some trees will be removed, due to safety concerns or simply the wrong species in the wrong location. Apex Arborists offer to plant a native tree for every one we remove. As they say, the best time to plant a tree was 20 years ago. The second best time is now. With this in mind, you can rest assure Apex Arborists will be giving back. I gained my first customer in January 2017. This was great moment as it was when my business idea became a reality. I have an ethos of ‘if a job’s worth doing, it’s worth doing well’ and I had steadily built a strong reputation while working as a sub-contractor. This has stood me in good stead with the launch of my own business. I worked alongside Senior Business Advisor, Sergio Aschettino to develop my business plan. With his support, I also successfully applied for a Start Up Loan, and will receive ongoing support to develop my business through the Start & Grow programme. Nwes have been exceptionally helpful in terms of walking me through the business plan, which allowed me to gain the funding to make Apex Arborists a reality. The equipment and machinery required to run a tree surgery business is a huge initial outlay. Due to this, the only realistic way for me to start-up was to source funding. The fact that Nwes also offer two years business support following the start-up will be invaluable to me and the business. There have been some challenges, such as ensuring I manage my time effectively, but I have enjoyed the entire process of starting my own business. From developing the company image that I wanted to present, to working out the financial forecasts, I’ve enjoyed it all – but the moment the first potential client phoned was a highlight for me, as it felt that months of hard work on the business, in between working full time, had finally pulled together. I have ambitions of developing the business by employing another tree surgeon and an apprentice within the next two years. I also hope continue my professional development to enable me to offer consultancy services, in addition to the practical tree works that Apex Arborists already provides. What advice do you have for others considering becoming their own boss? Seeking support from Nwes was a good decision for me. I’d encourage other potential new business owners to be passionate about what they do and go the extra mile as this will show in the quality of works and attract the attention of potential clients.